Hello, dear artists! 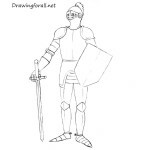 Today we have prepared a new drawing lesson for beginners. 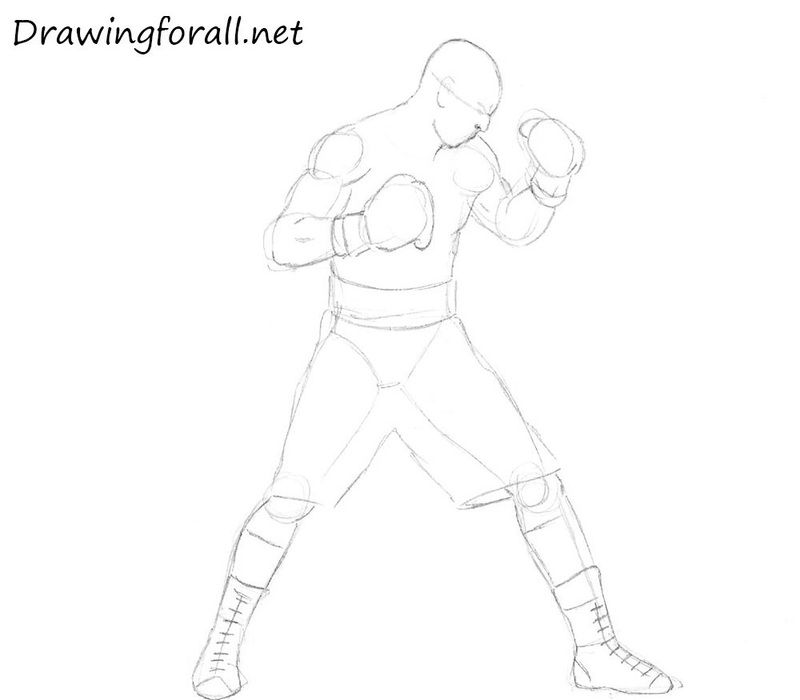 So, let’s start the tutorial and learn how to draw a boxer for beginners. 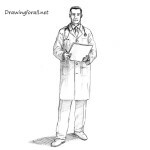 At first we will draw the Stickman – the skeleton of our character. Draw the dead, which is very similar to the egg, or the mask of Spider-Man. 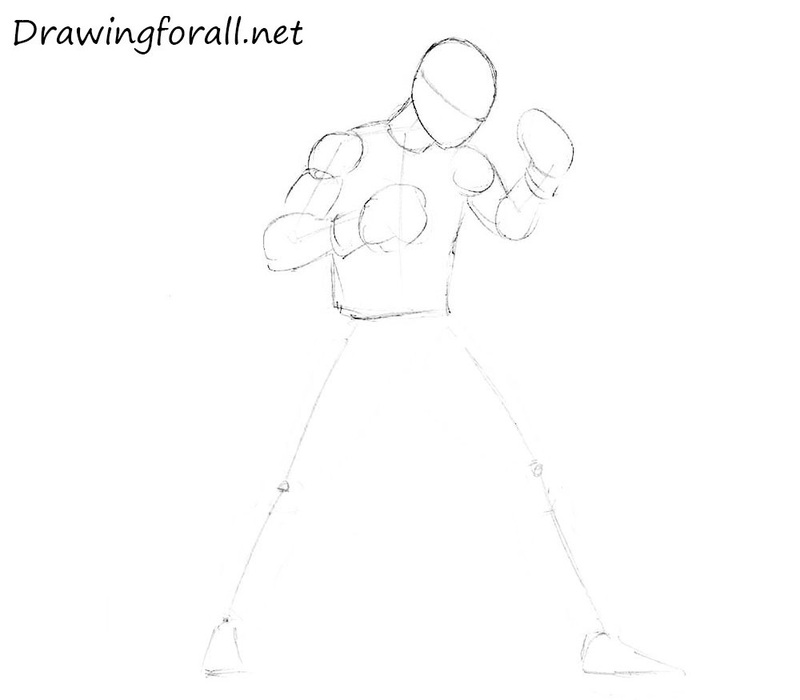 Using lines draw the body of the boxer. Draw the line of the eyes, which is located in the middle of the head. Using cylinder draw the neck. Draw the torso (Height of the head is equal to the sum of the height of the two heads). 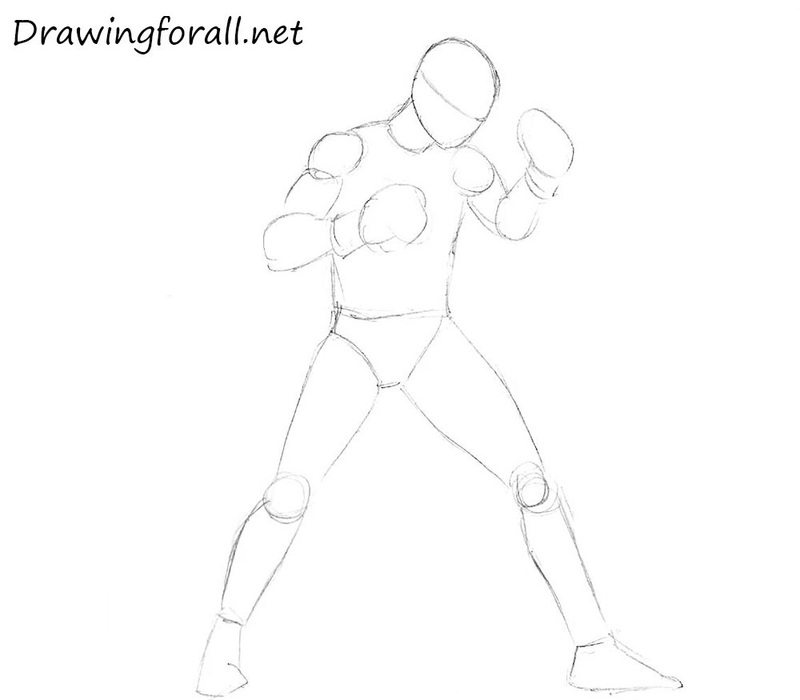 Using circles draw the shoulders and fists and using cylinders draw arms. Draw the pelvis as in the example below. 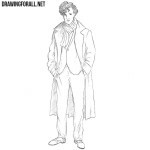 Sketch out the legs (height of the legs is equal to the half heigh of the man.). 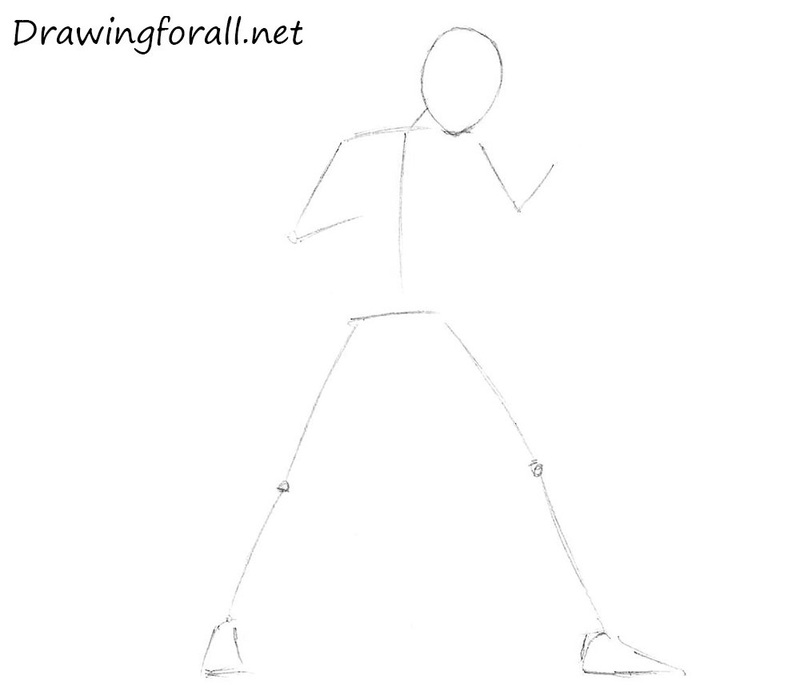 Using circles draw the knees. Draw the feet as in our example. Draw the eye which is located in the vertical line from the second step. Below the line draw the nose and mouth. Draw the ear, which is located also on the line of the eyes. Sketch out the lines of the muscles. Draw the belt and shorts as in our example. Erase the guidelines and unnecessary strokes. Circle the lines to make them smooth and clean. Add some lines of muscles. Add some folds to the shorts. 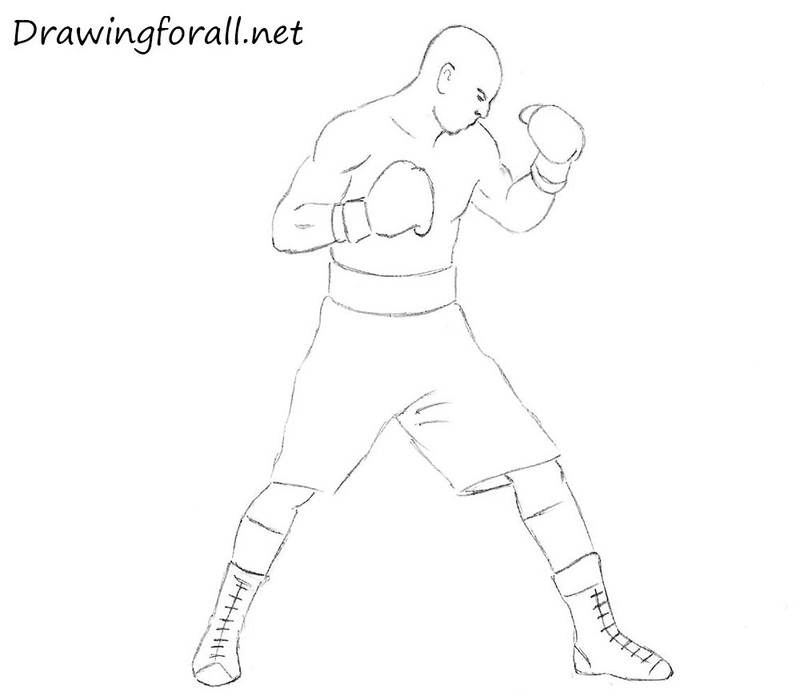 It was the drawing lesson about how to draw a boxer for beginners. We hope the tutorial was interesting and informative for you. 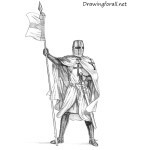 Stay tuned and wait for new drawing lessons by drawingforall.net, goodbye!